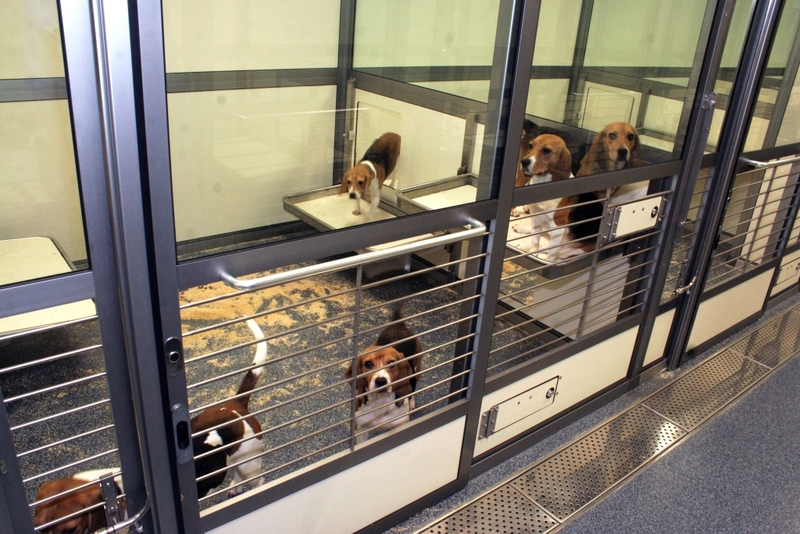 A study, conducted by the University of Stirling, in collaboration with AstraZeneca and Charles River Laboratories, aimed to look at the impact of modern, purpose-built dog facilities, on the animals’ welfare. Dr Laura Scullion Hall and Professor Hannah Buchanan-Smith, from the Behaviour and Evolution Group (BERG) at the University of Stirling, published a paper (1) that aimed to validate the welfare benefits of the modern home design pens for dogs. The research was funded by the Biotechnology and Biological Sciences Research Council in the UK, and the National Centre for the Replacement, Refinement & Reduction of Animals in Research (NC3Rs). There is a clear body of evidence showing the positive impacts of housing refinement on numerous species (2)(3)(4), however, according to Hall, the design of the home pens for dogs “has received little scientific attention since the 1990s, since when legislative minimum standards have improved”. Dogs spend most of their time in home pens, usually interspersed with occasional use of playrooms. The study compared animal welfare using the modern and traditional home pens. From left to right: modern home pen; traditional home pen; indoor play area. Image Credit: Behaviour and Evolution Research Group, University of Stirling. [I]mprove the welfare of dogs used in scientific research and testing worldwide, and to improve the quality of data which is obtained from their use. We do this by collaborating with our partners in industry, drawing on expertise and empirical data, to provide guidance on best practice for housing and husbandry, and provide online resources and hands-on training to staff to implement positive reinforcement training protocols for regulated procedures. Around 4,000 procedures on dogs are carried out in the UK each year (around 0.1% of the total), these are mainly for safety testing, conducted at pharmaceutical or contract research organisations. The fact this research was conducted in collaboration with such organisations will hopefully speed its implementation. Posted on September 30, 2016 by EditorPosted in 3Rs, News, Science NewsTagged 3Rs, dogs, NC3Rs, refinement, welfare.